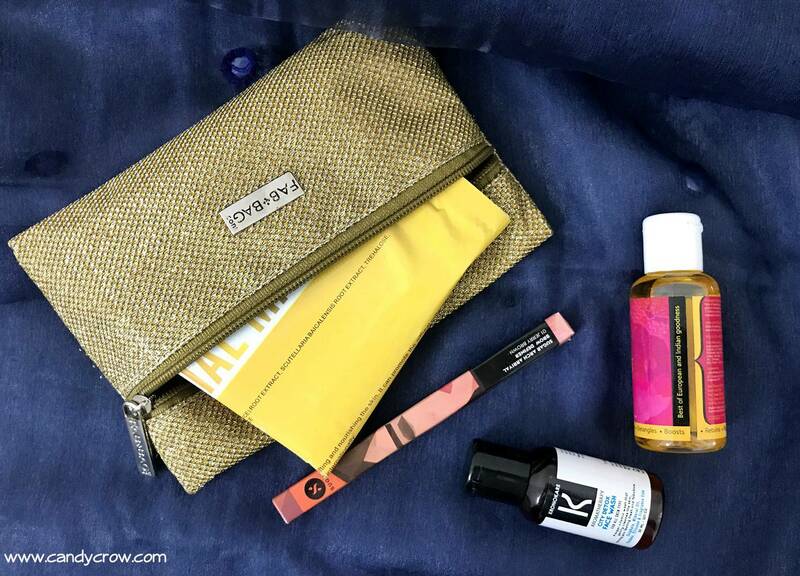 October Fab Bag theme is "Steal the limelight." I received, glittery gold color textured bag which is made out of high-quality material. The bag is beautiful and it be accessorized along with the traditional outfits. According to me, it is one of the GLAM bag from fab bag team. Let me stop bragging about the bag and move on to the products that I have received this month. This is my product of choice for this month. I have already used Sugar Arch Arrival Eyebrow Definer- gray, so I thought of giving this shade a try. The eyebrow definer comes with a spoolie brush on one end and a twist-up brow definer on the other end. The definer has a waxy outer layer, and once you scrape it off, you are ready to rock the world with your perfect brows. 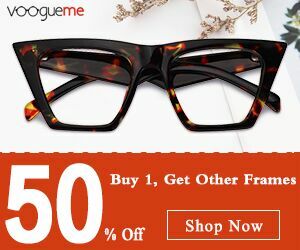 It has excellent pigmentation and staying power. For detailed review and swatches, click HERE. I have got a Mons'sub face mask in my August fab bag. It did a good job in nourishing the face. 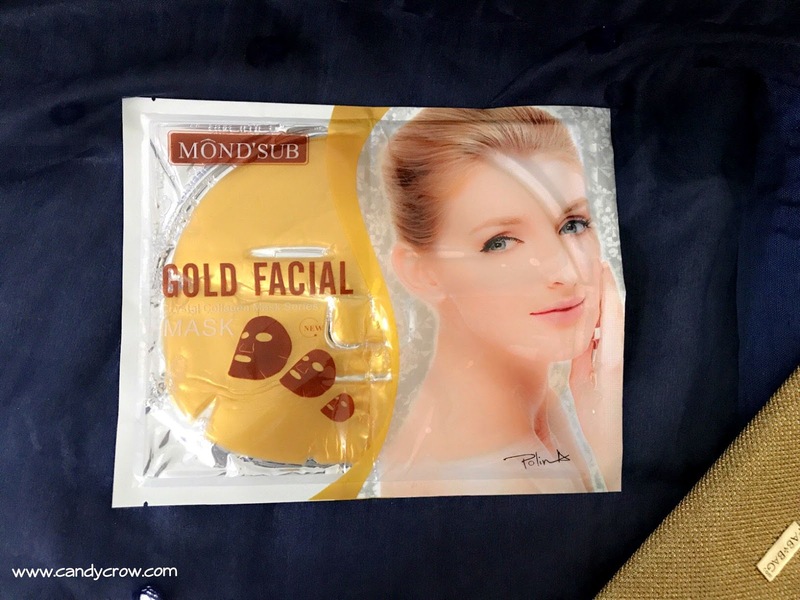 This gold collagen facial mask is designed to moisturize, brighten and tighten face. I was so tempted by the glittery mask, I decided to try it the same day. The mask is soaked with serum, it does moisturizes and nourishes the skin. The downsides are the heaviness of the mask and size of the eye holes. 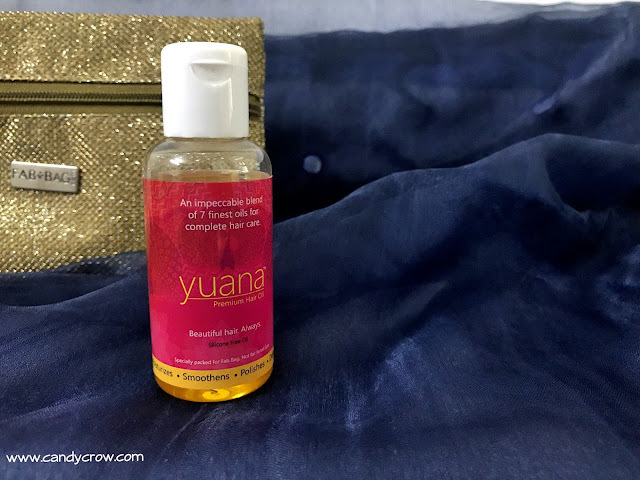 Yuana premium hair oil is made with 7 finest oil. It has amazing fragrance, and the packing is also quite sturdy. It also has mineral oil as one of the main ingredients. It could have been great if they have avoided it, as it is an expensive oil having mineral oil as one of the ingredients does not do any justice to its price. Like all Kronokare products, this smells divine too. It has peppermint, grapefruit and lavender essential oil in it. The face wash is white, and it lathers well. 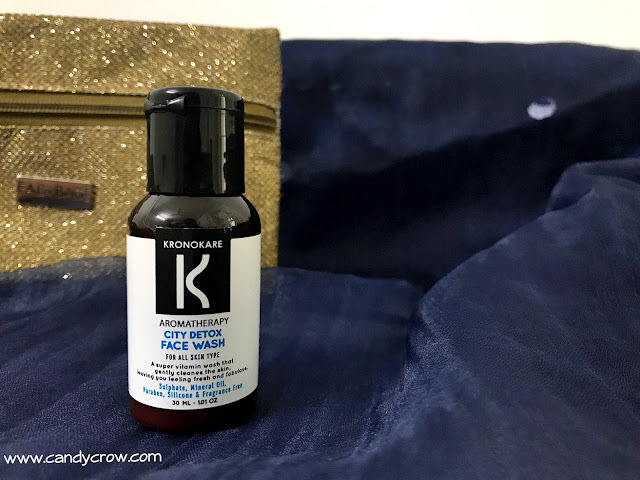 This face wash is free from sulfates, silicone, paraben, mineral oil and synthetic fragrance. 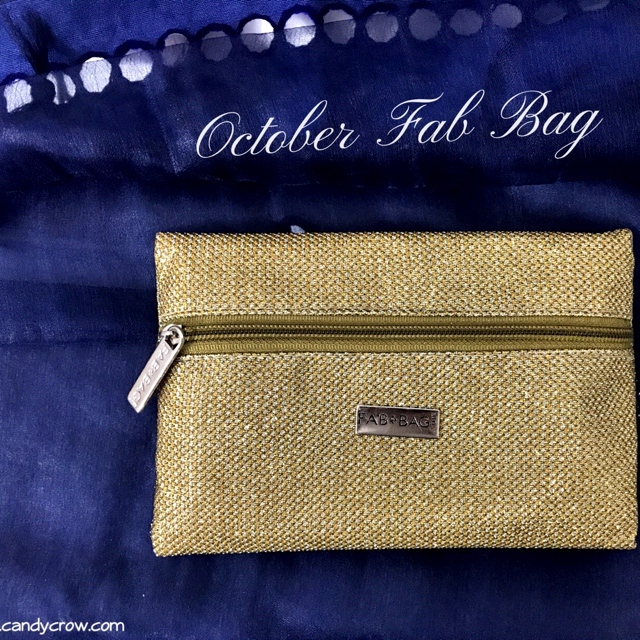 October 2017 Fab Bag is a stunner. It looks beautiful, I would have paid Rs.416 just to get my hands on it. 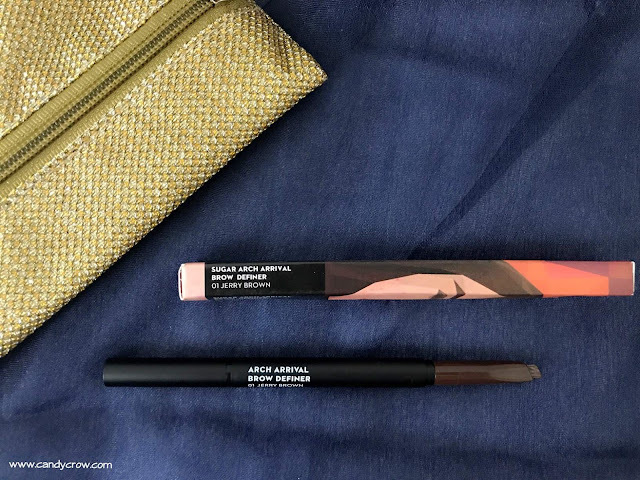 I have received four products in this month bag, and among them the one that stole my heart is sugar arch arrival eyebrow definer. If you would like to make this bag yours, check out FabBag.com, It would be an excellent choice of gift for Diwali too.